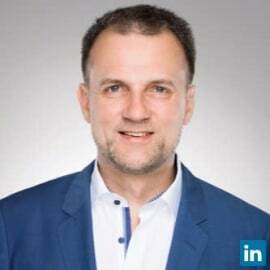 As Head of EMEA Digital Analytics & Big Data CoE at SAP, Ralph Richter is diving innovation and sales in the area of BIG Data and Analytics across different industries for Europe, Africa and the Middle East. Ralph supports customers on their journey towards becoming a digital business. With a background in Healthcare and Lice Science, Ralph acts as a thought leader for precision medicine and innovation in this industry. Currently, Ralph’s team is driving a project using SAP Health Engagement Platform to support an international clinical research study conducted by a world leading life science organizations.